D&L House Clearances Ltd - Removals/Storage, Rubbish/Waste/Clearance based in Hailsham, East Sussex. 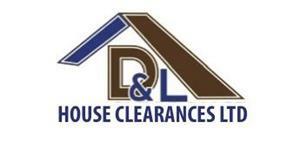 Welcome to D&L House Clearances Ltd, we are a family run business providing a reliable and trustworthy service that can cater for all your clearance needs. We cover London, Kent, Sussex, Surrey and most surrounding areas offering a 24 hour service. We price all our jobs at a very competitive rate and are proud members of Checkatrade. We take pride in all our work, and every job is handled with the up most care and first class service. We hold full Public Liability Insurance and are environmental agency certified. Also trading standards approved and support with confidence member. Holding at least 30 years experience in the industry, no job is too big or too small. Daniel Honeywill (Director) on the left. East Sussex councillor on the right.